A bartender at a Prince George's County hotel has told police that he served alcohol to County Executive Wayne K. Curry's chief spokesman shortly before the aide allegedly was involved in a fatal hit-and-run accident last week, according to law enforcement sources. The bartender told investigators that he was on duty Dec. 29 when Curry's spokesman, Brian T. Flood, stopped for drinks at the Holiday Inn in Landover, the police sources said yesterday. Shortly after the time Flood left the hotel bar, according to the bartender's account, Flood plowed into a car that was stalled on Landover Road in Cheverly, police said. The collision, at 10:45 p.m., killed 51-year-old Evelyn Manning, a county employee who was tinkering with the disabled car. A bartender contacted yesterday at the hotel bar said he was the one who had spoken to police, but he would not identify himself. He said police investigators had advised him not to speak about the case to reporters. The statements by the bartender are at odds with comments made the day after the accident by Flood's attorney, Leonard Stamm. "I have not had an opportunity to review all of the evidence," Stamm said last Friday, "but I am confident that the evidence will show that Mr. Flood didn't have anything to drink before the accident." Stamm said that Flood was driving home from his office at the county's administration building in Upper Marlboro when the accident occurred and that Flood was not inebriated at the time of the accident. On the day of the accident, Flood had called in sick and was contacted twice at home by a Washington Post reporter working on an unrelated story. Stamm said that Flood had gone into work later that afternoon. County officials said yesterday that they were unaware of Flood's being in the office that day. The bartender told police that Flood was at the bar for more than an hour, during which time he served him several drinks, the sources said. Yesterday, Stamm said Flood was not under the influence of alcohol when the accident occurred. Stamm would not comment on the statements attributed to the bartender. Police said Flood's blood alcohol level was 0.11 when a Breathalyzer examination was administered nearly 10 hours after the accident. 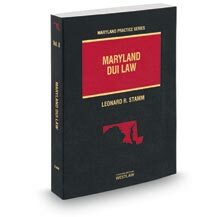 The legal limit in Maryland is 0.10. Stamm said the blood alcohol level was the result of alcohol that Flood consumed after the accident occurred. Flood, 35, has been charged with driving while intoxicated, driving under the influence, and four misdemeanor traffic violations, including leaving the scene of a fatal accident. Curry, who last month appointed Flood to the post of public relations director at a salary of $68,500, suspended him without pay pending the outcome of the investigation. Prosecutors are reviewing the case to determine whether Flood is criminally responsible for Manning's death, and they will decide within 30 days whether to file criminal vehicular manslaughter charges against the senior county official. The charge often is difficult for prosecutors to prove in court because it requires the state to persuade a jury or a judge that the defendant displayed a "wanton or reckless disregard for life," a high legal standard. Police said they had difficulty tracing Flood's car because it was registered to the Prince George's County government, rather than a private individual. Investigators briefly questioned Flood at his home early last Friday morning, then asked him to accompany them to police headquarters in Palmer Park. After he provided a statement to detectives, Flood was arrested. The Breathalyzer was administered shortly after 8 a.m., court documents show.